More than likely it's some contamination that is occurring due to dirt or even some carpet fibers, depending on the vehicle. Always be careful when squeeging the bottom portion of the back window, cause if you drag your tool incorrectly and have your tool dragging along the carpet, you could be causing little particles to resurface in the air and back onto the glass. Never hurts to clean twice! May have to flush those bottom areas, especially the tight ones. 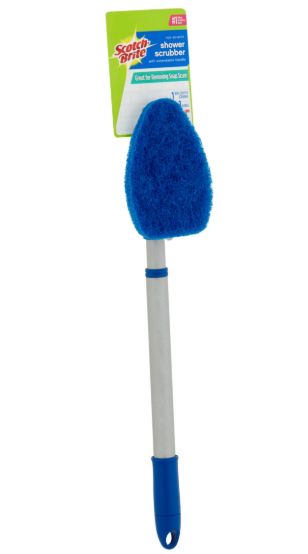 Your final pass with the cleaning squeegee could be kicking up lint/dust from the deck. Careful of those damned newfangled hifi electronics. I hear they don’t like water. Exp: ever since honeys was wearing Sassoon !! When I do a backglass, I make sure the bottom section is cleaned really well, then on the last cleaning pass before install, I make sure not to try go to low and bring stuff up off the hatrack with a squeegee. Just like Tint Eastwood said, that last pass across the hatrack just before install is usually where the trash comes from. So on the last squeegee the bottom 4" or so of the backglass is not squeegeed and the line that is left gets flushed well just before unrolling. If you pre-clean then control the environment well just before unrolling, this should keep the trash down. Also, do your best to not slide the film around during unroll. Going past the boarder brings trash back into the install area while unrolling. Another option is try be drier when you clean, like clean and dry all the edges without going too deep and kicking up junk and/or getting it wet too deep in, you don't need to soak it when you clean, just when you install. If you cleaned and you're too wet in the area way beyond the dot matrix it can sometimes mix the crap in or absorb in with your slip when you move the film into place like try not move the ends of the film too much when adjusting and make sure the sides are dry after cleaning, sometimes there's dirty foam in there too that gets soaked and seeps out when you get it all wet again with slip. Try when you clean the back window to not drench it when cleaning and be as dry as you can, this way the slip doesn't mix in with the junk beyond where you clean and install. whenever I do rear windows...I remove them. ..take them out then tint them and install let dry....that way I don't have to get in the rear seat! 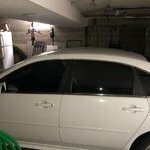 I show my tints to everyone!! I use the Scotch-brite shower and tub scrubber like that, i put a white scrubby right over the blue scrubby that's on it so i can re-use the handle. Good leverage and don't have that awkward reach.